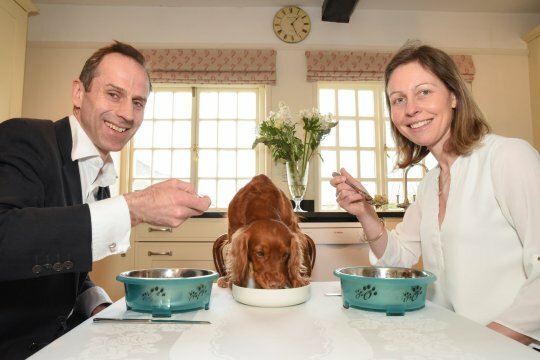 A couple have revealed that they regularly eat dog food but insist its only to test its quality – because they are producing meals for pampered pets. Husband and wife duo Alex and Charlie Thurstan say their favourites are the lamb hotpot, braised beef, chicken casserole and turkey fricassee flavours. 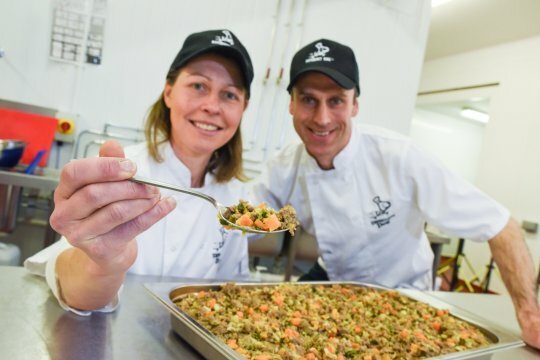 But the couple, of Shrewsbury, Shropshire, say it’s all part of creating ‘real food’, rather than processed meals, for customers of their company Different Dog. Alex said the business started when she began making food for her dog, Crumble, with the same ingredients she used for her kids’ dinners. 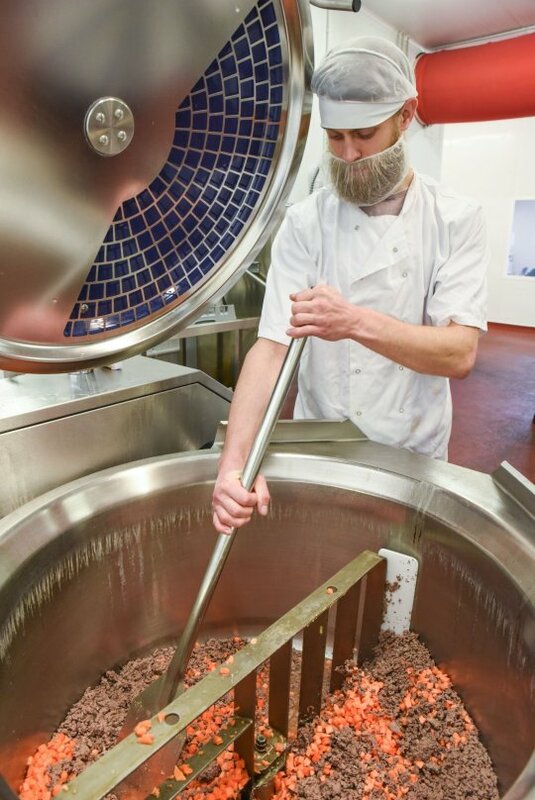 In Charlie’s previous job, he would meet suppliers and tour factories where processed food was being made. He said he saw food being sprayed ‘to make it tasty so the dog will want to eat it’ which inspired him to make sure everything in Different Dog meals is fresh and natural. 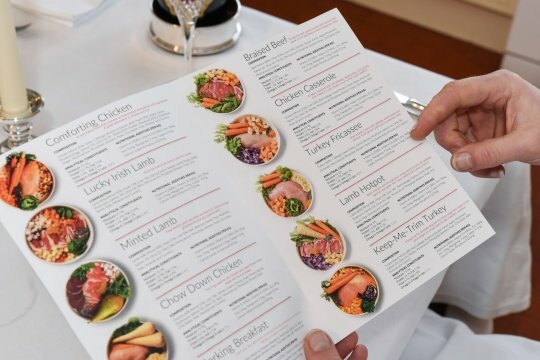 The meals – which retail at between £2.50 to £5.49 per meal – are now in 40 shops around the country. ‘Our main aim here is to provide dogs with real food and change their lives for the better – which so far we’re confident we’re doing,’ Charlie said. ‘We’ve had customers trying years of different diets with their dogs and nothing has worked until they tried our food. Every new meal the company creates is sent straight to the lab for testing to ensure it has all the necessary nutrients, the couple said.